These pages are a repository for news and resources on assessment relevant to New Zealand education. 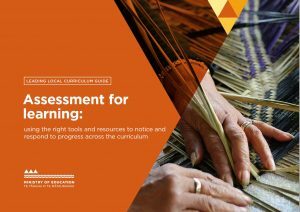 This guide, for school and curriculum leaders, covers informal assessment for learning in the classroom, assessment tools and advice on choosing assessment tools for the right purposes. It will support schools to review their assessment policies and procedures and can be used for ongoing review. The 2018 seminars were attended by over 300 educators. Click here for the 2018 Christchurch seminar resources. Click here for the 2018 Wellington seminar resources. Click here for the 2018 Auckland seminar resources. The International Educational Assessment Network (IEAN) was established at the end of May, 2018. The small nations/states include: Scotland, Ireland, Wales, Iceland, Denmark, Switzerland, Slovenia, New Zealand, Ontario (Canada), Norway, and Singapore. Our president, Dr Jenny Poskitt, was the New Zealand research representative at the recent IEAN meeting. Her notes give us insights into common issues faced by member countries. Click here for Jenny’s notes. Sue Leslie, a teacher and assessment facilitator of long standing in the New Zealand education community, has been living and teaching in London for the last couple of years. She has some thoughts on the differences between the New Zealand and English curriculum and assessment systems, and some suggestions. Click here for Sue’s article.